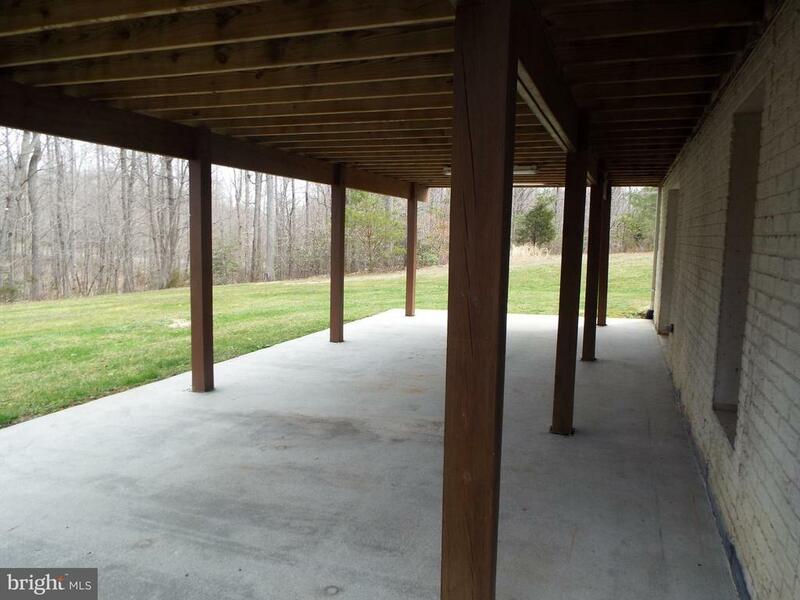 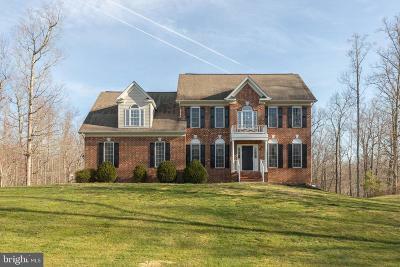 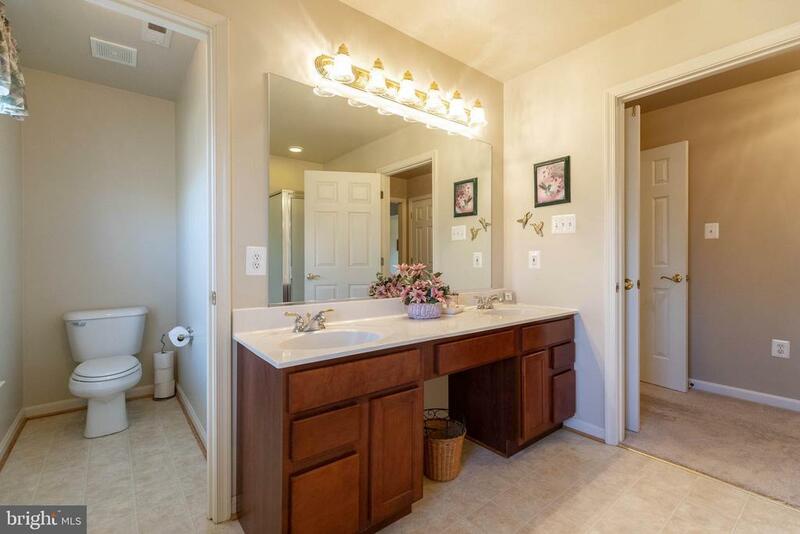 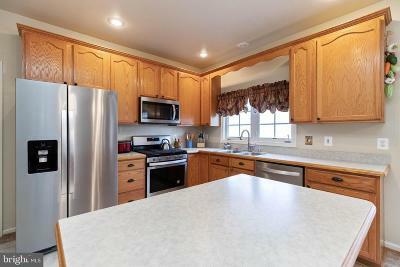 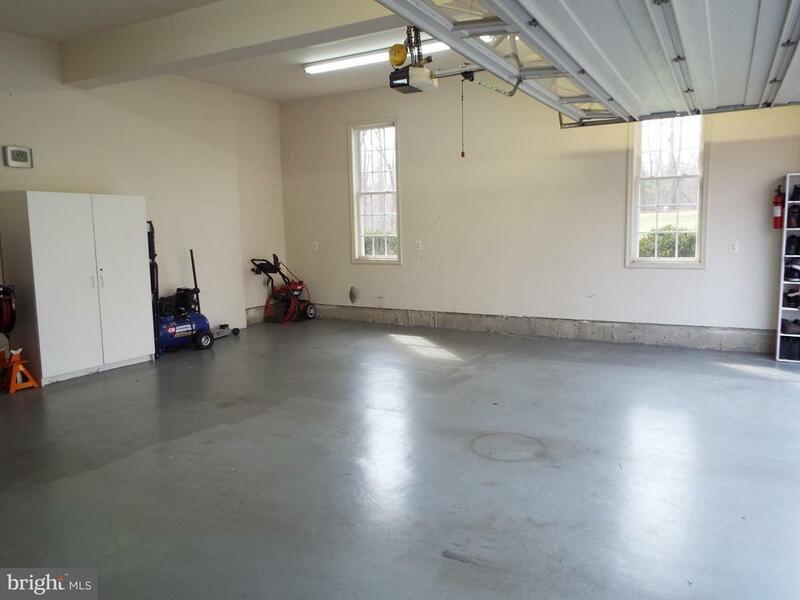 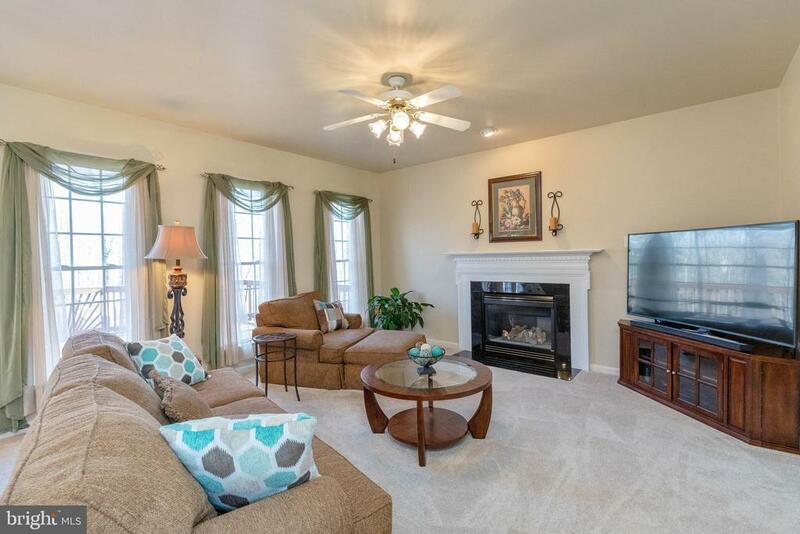 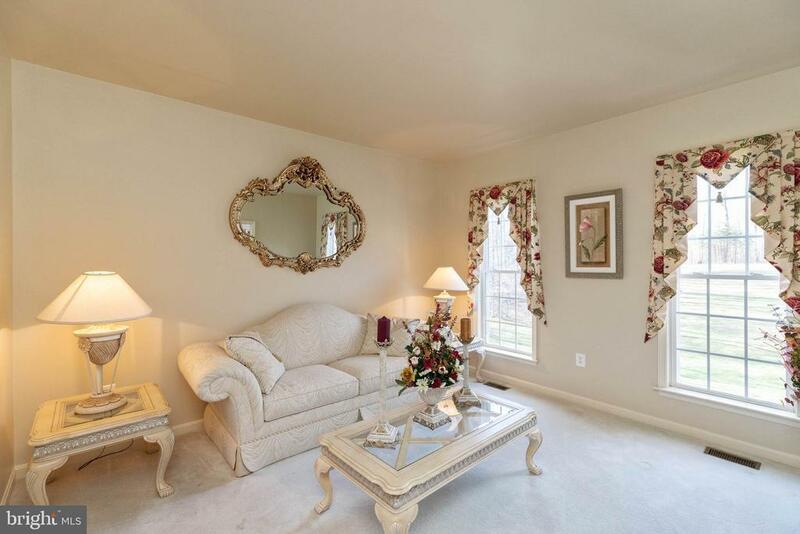 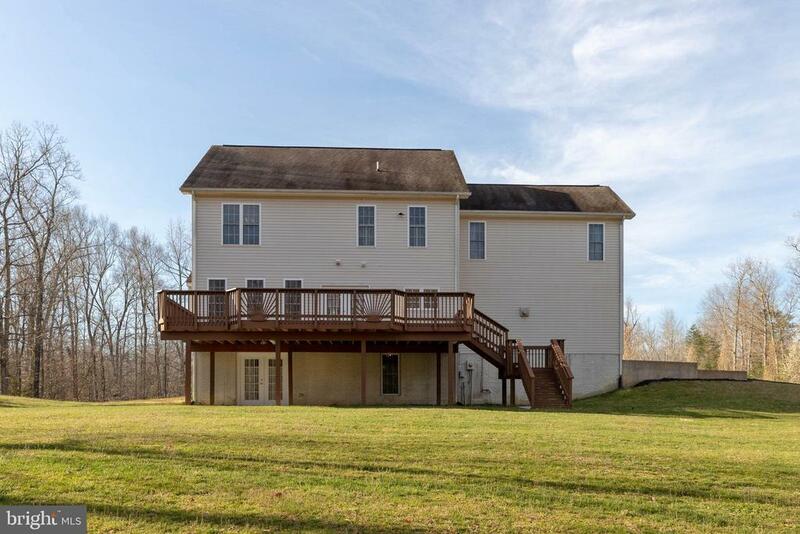 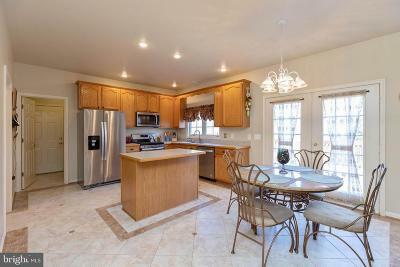 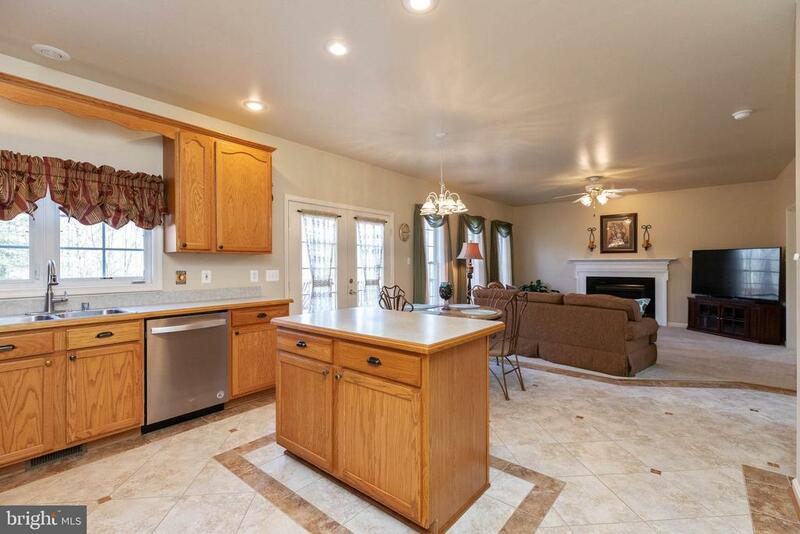 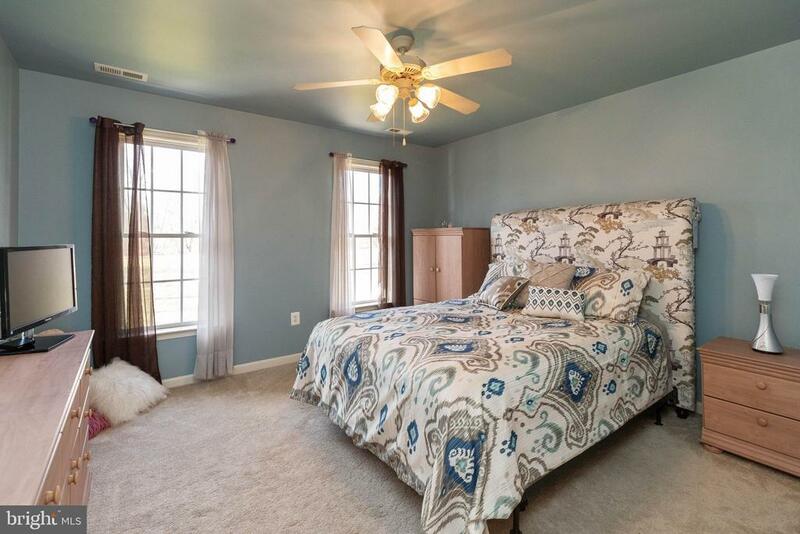 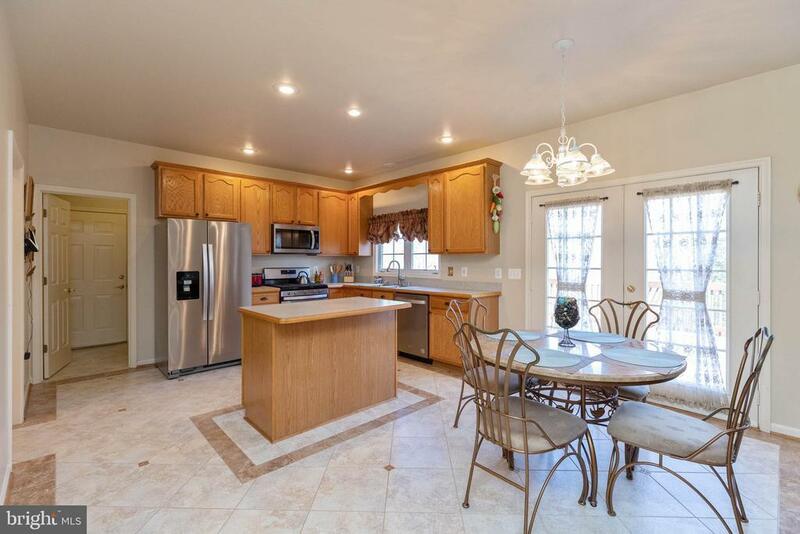 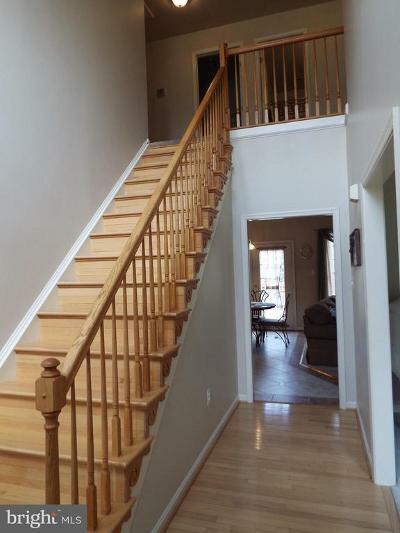 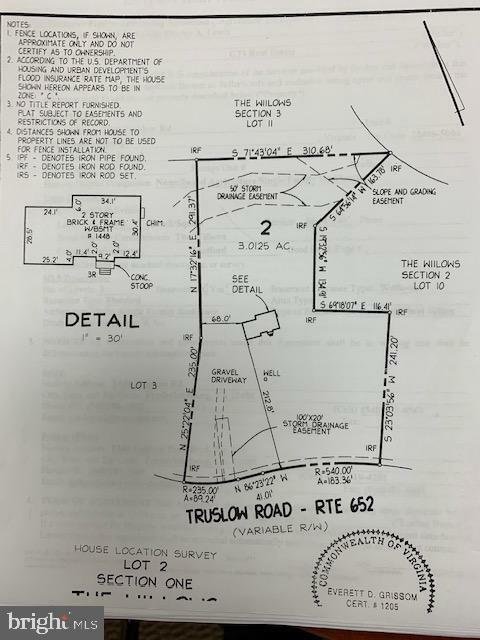 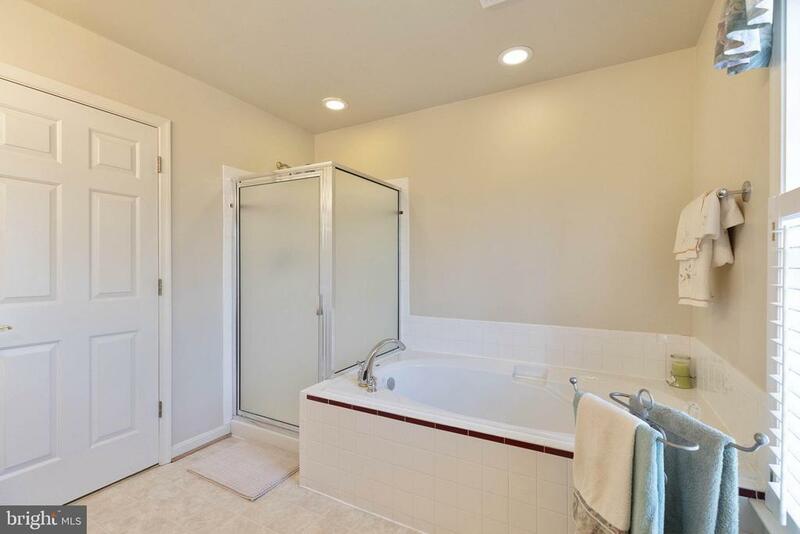 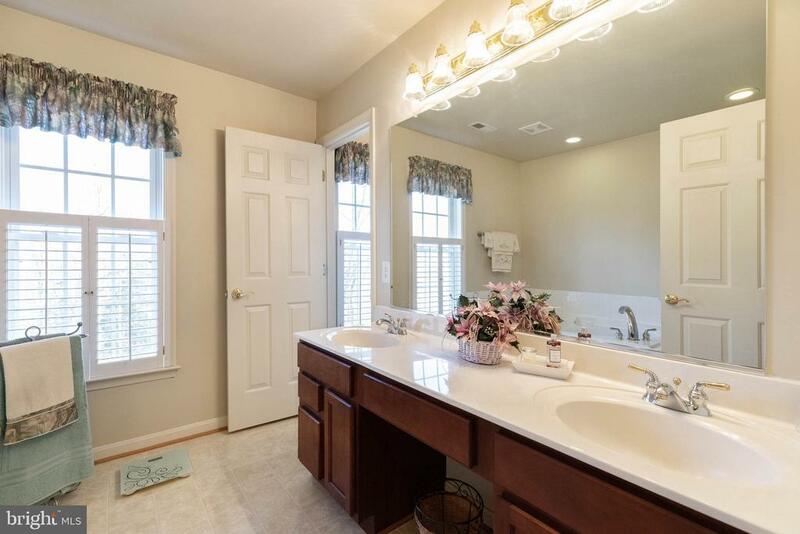 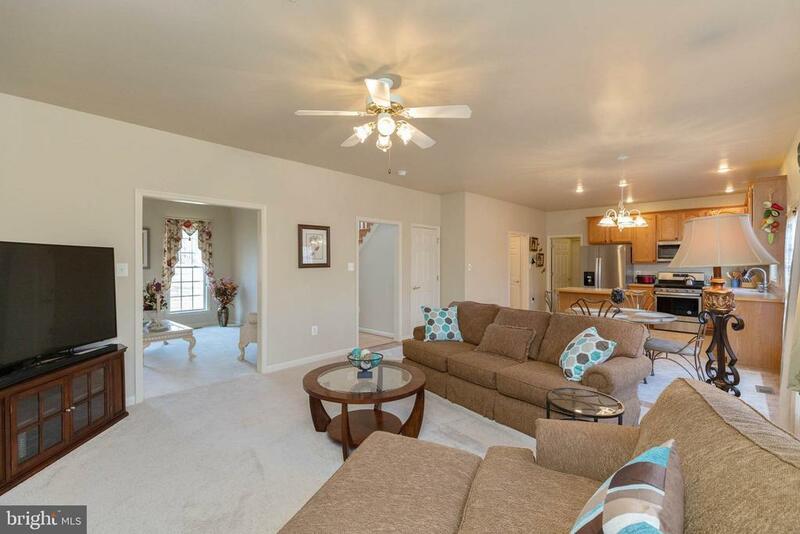 1448 Truslow Road Fredericksburg, VA. | MLS# VAST201936 | CTI Real Estate, CTI Property Management, and CTI Relocation: Fredericksburg, Richmond, Manassas & Northern VA (NOVA) Homes for Sale. 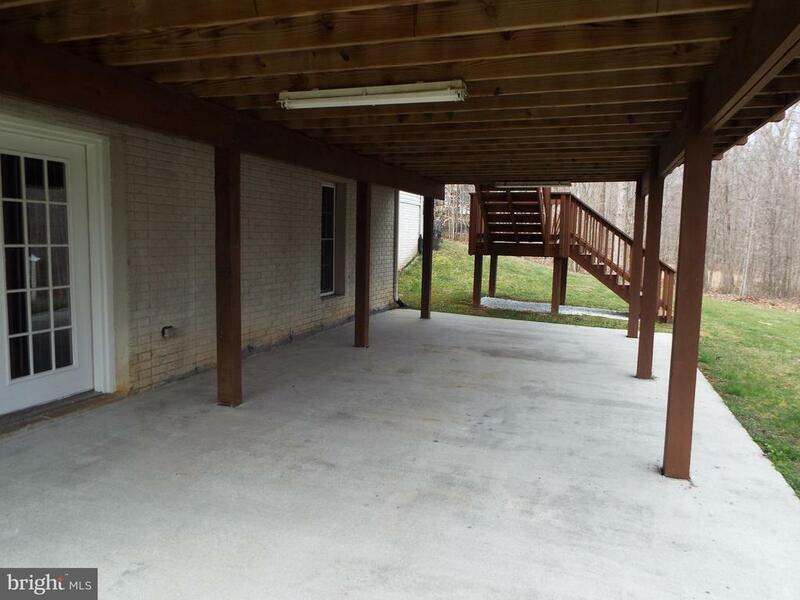 Rental-Property Management Services. 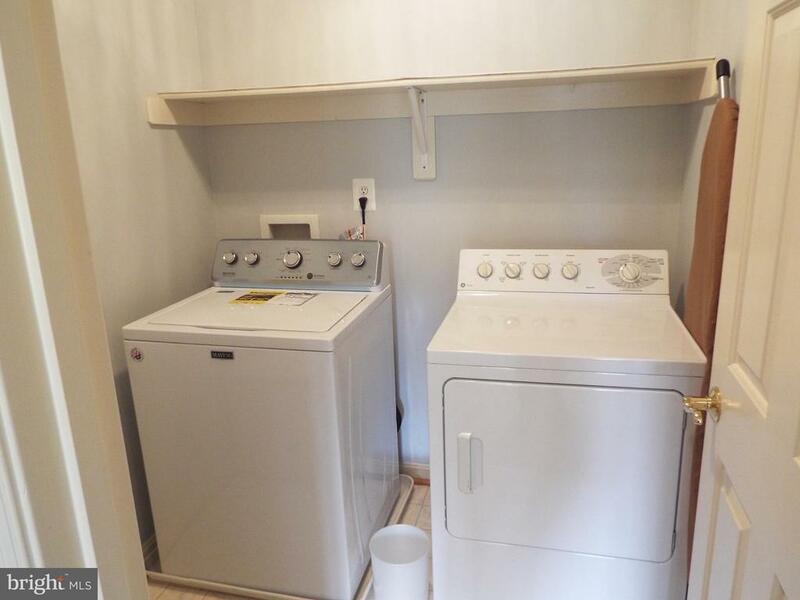 Government Relocation Assistance. 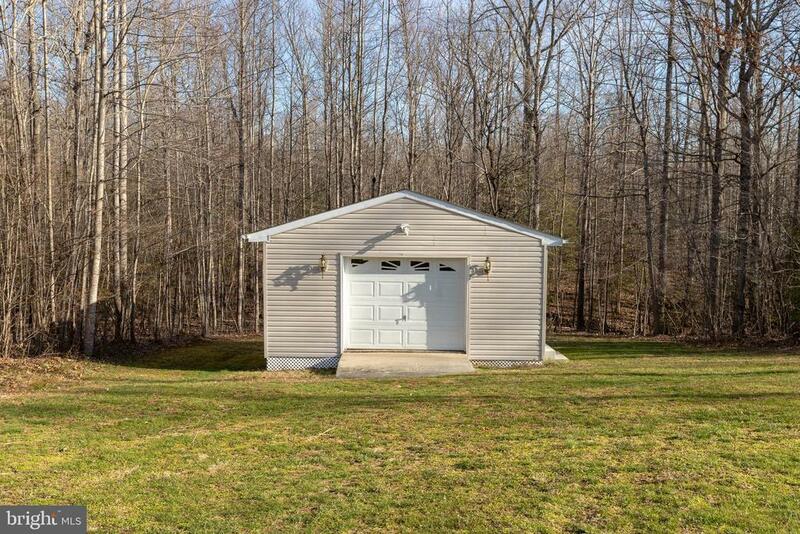 Real Estate Classes. Homebuyer & Seller Seminars. 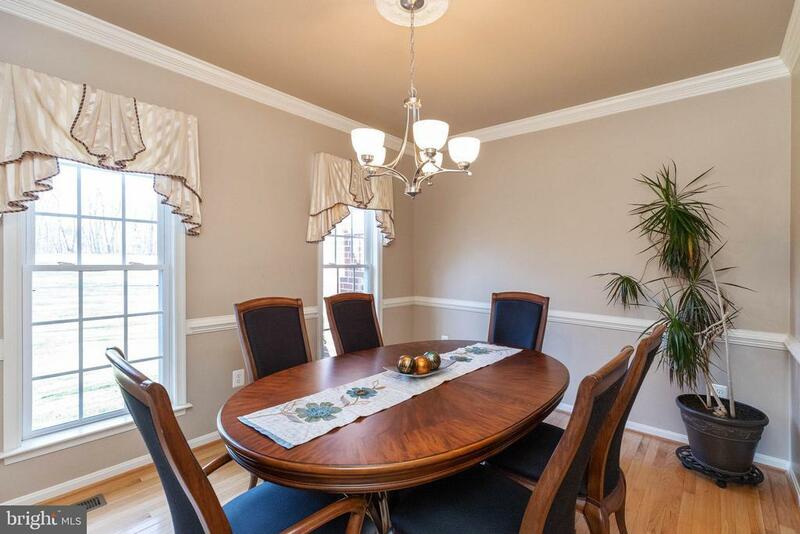 This lovingly detailed and maintained brick front home backs to beautiful woodlands with over 3700+ sf. 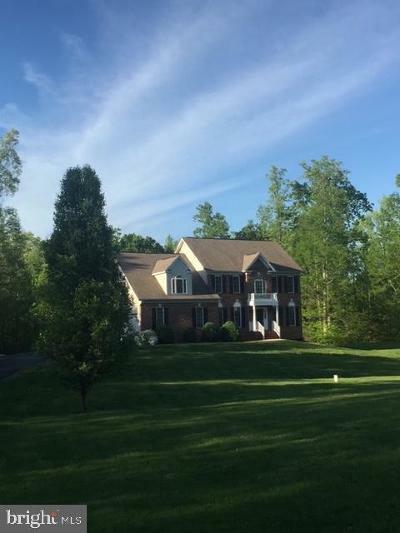 The beautiful spacious four bedroom, 3.5 bath home features hardwood entry and dining room leading to an open floor plan. 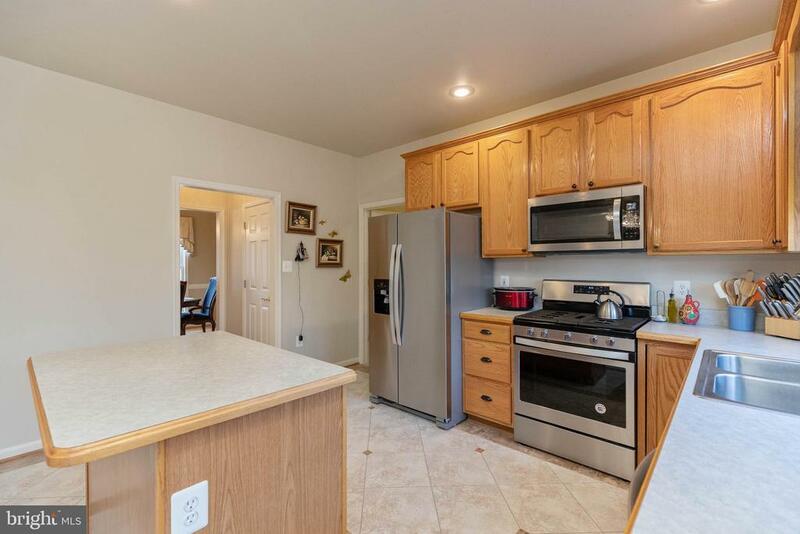 You~ll enjoy new stainless steel appliances, a large center island adjacent to an eat-in kitchen that flows seamlessly into the spacious family room with gas fireplace. 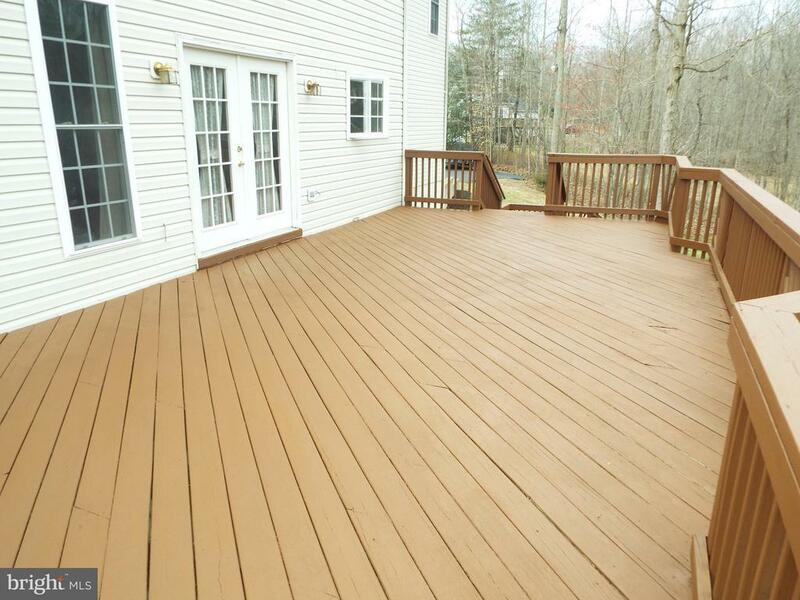 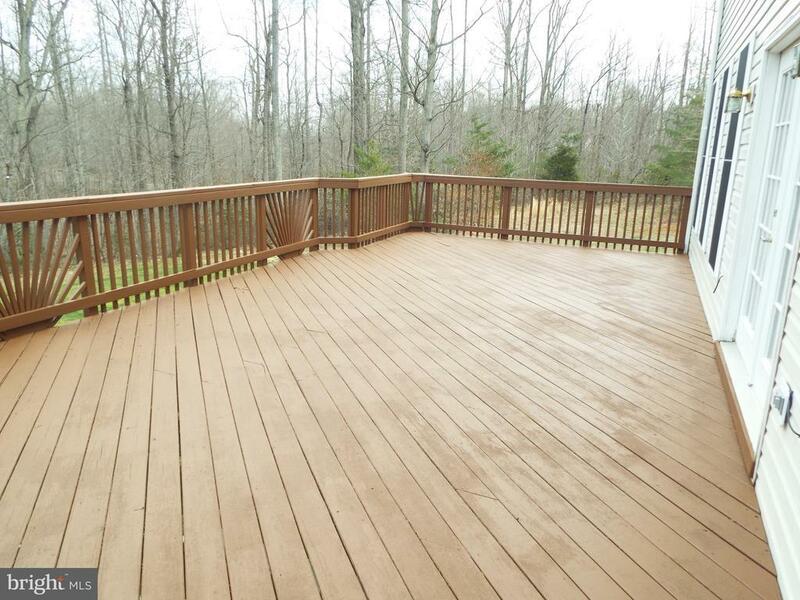 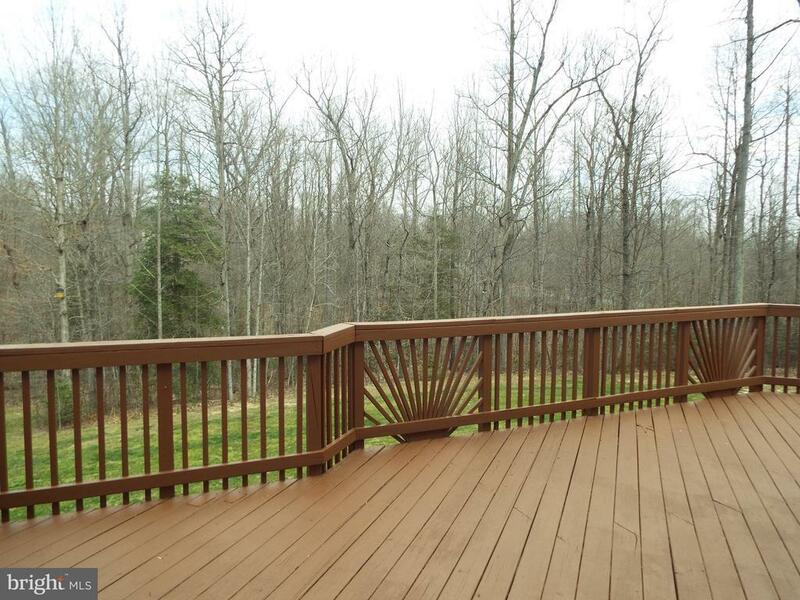 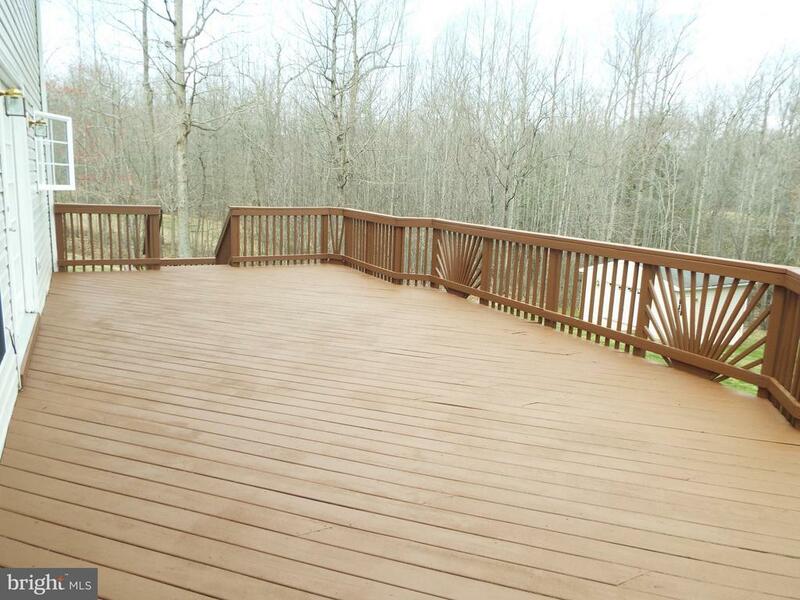 French doors lead out onto a large 400+ sf deck for your barbecuing pleasure. 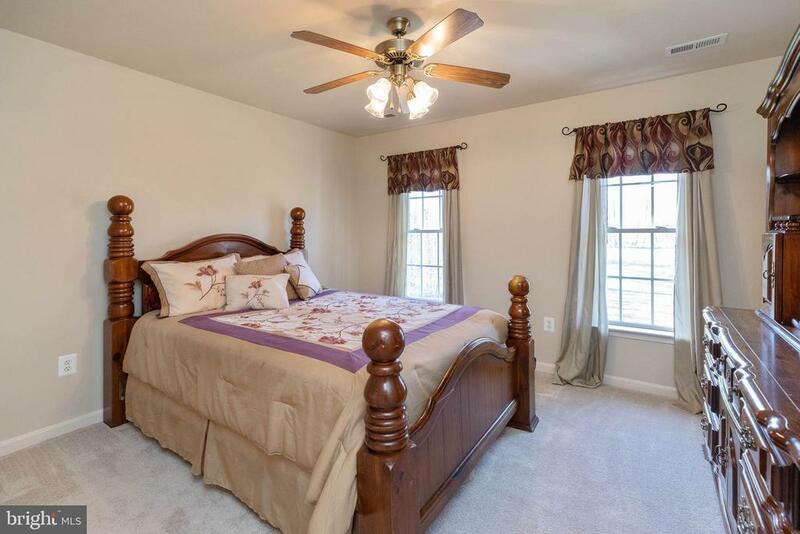 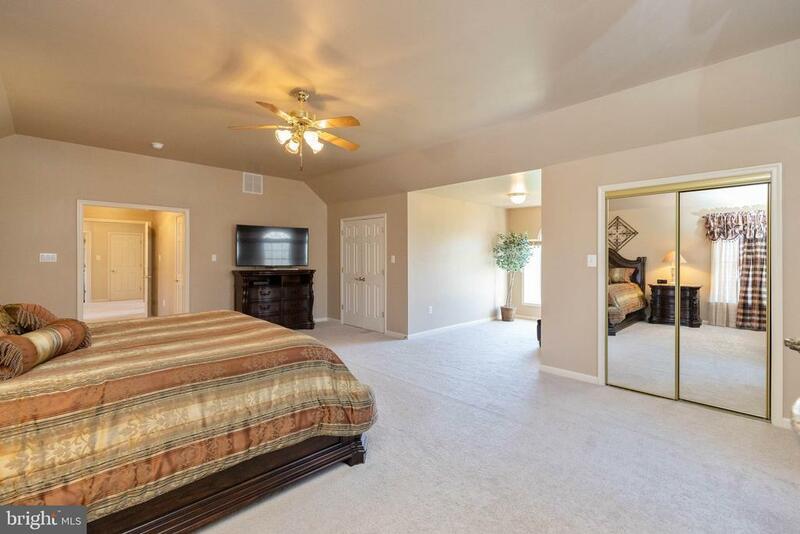 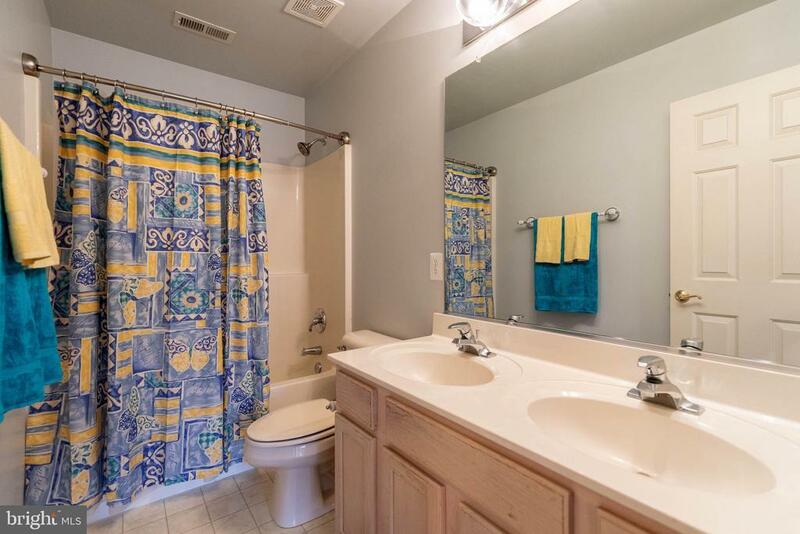 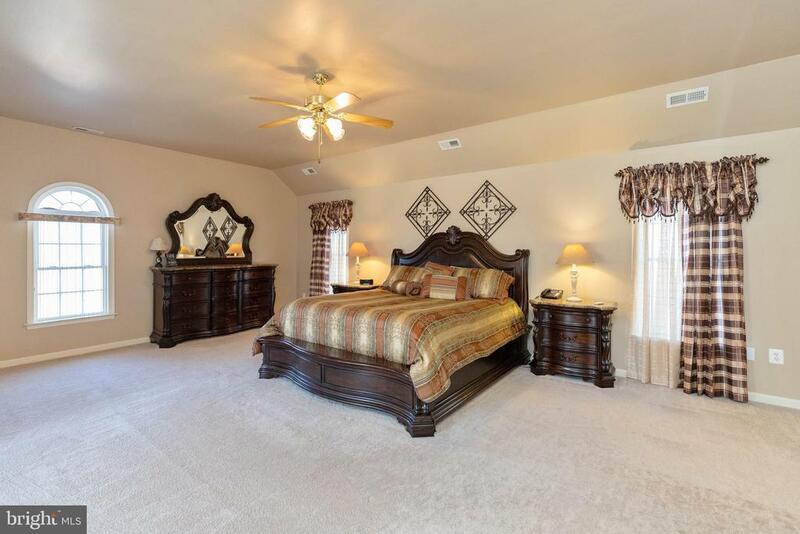 Step through the double doors into the master retreat, which includes a soaking tub, separate shower, double vanities, and two large separate walk-in closets with a sitting area perfect for quiet afternoons with a book. 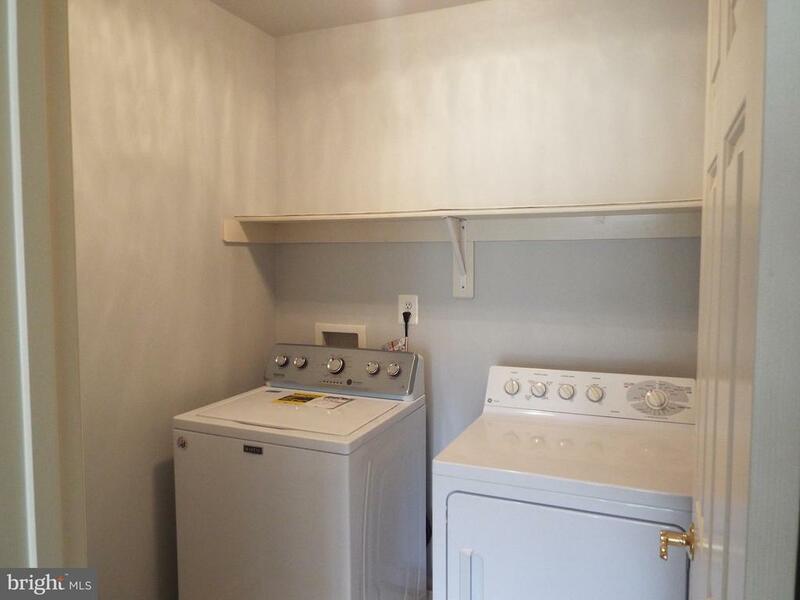 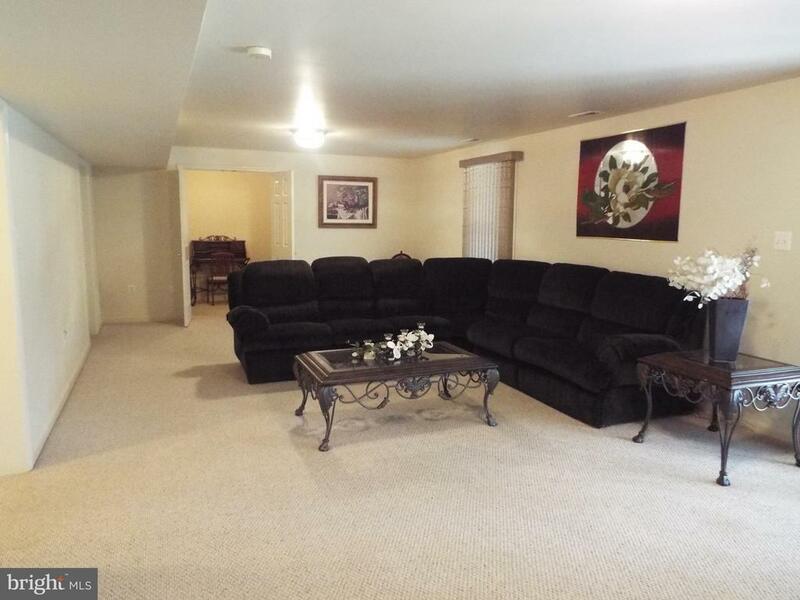 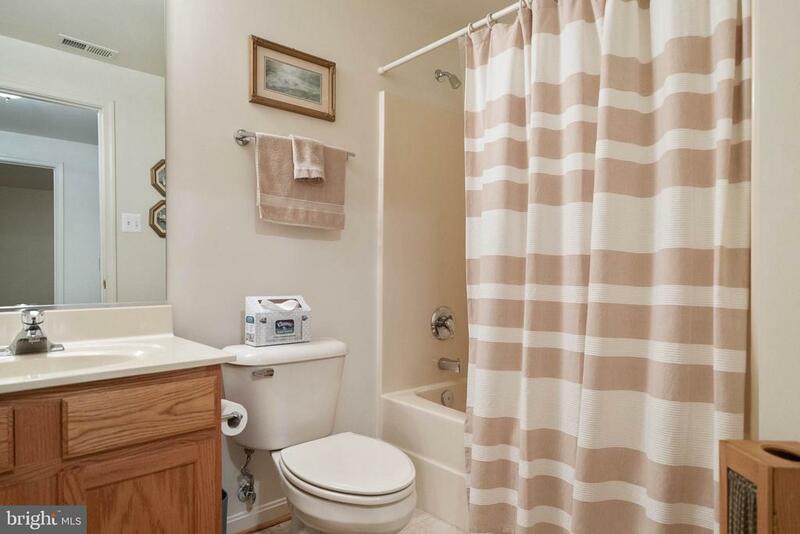 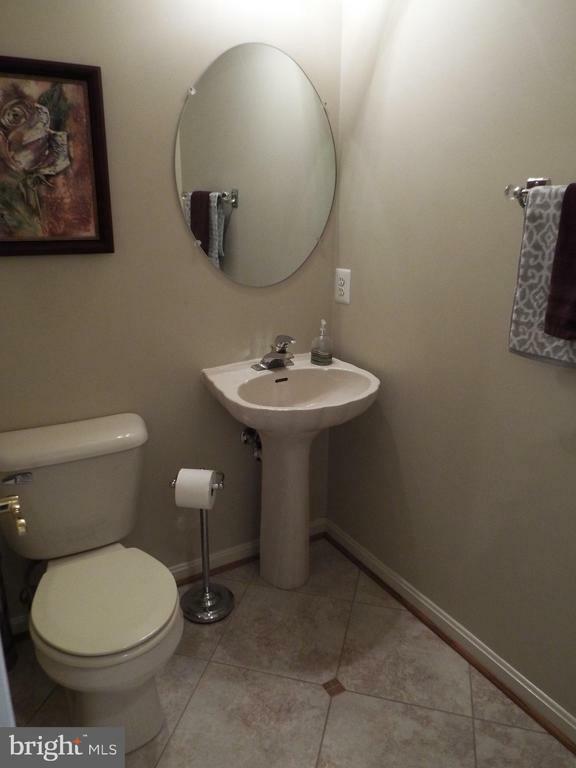 A large laundry room is conveniently located off the upper level hallway and equipped with a new washer; gas dryer. 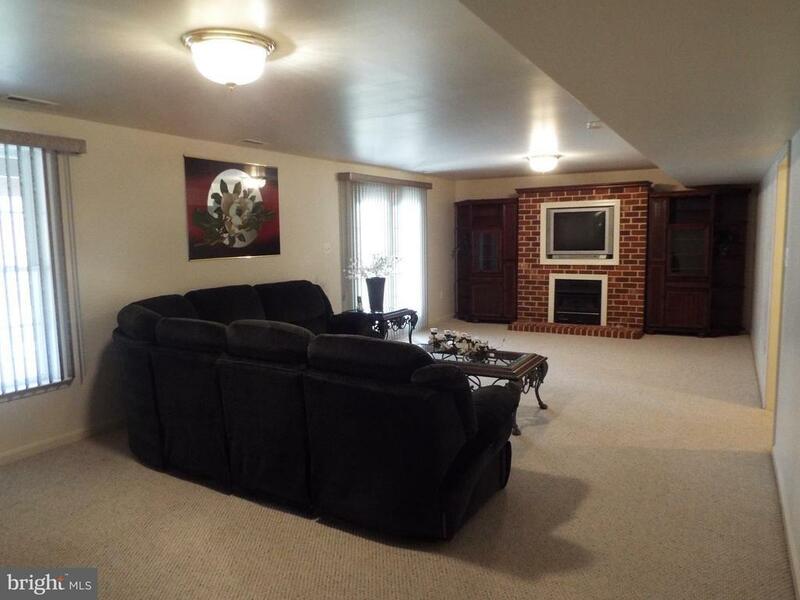 The finished basement with its brick gas fireplace boasts a huge great room, 5th bedroom (NTC)/office, full bath, storage area galore, just right for entertaining or family time with a lower level walkout leading to a 500+ sf patio. 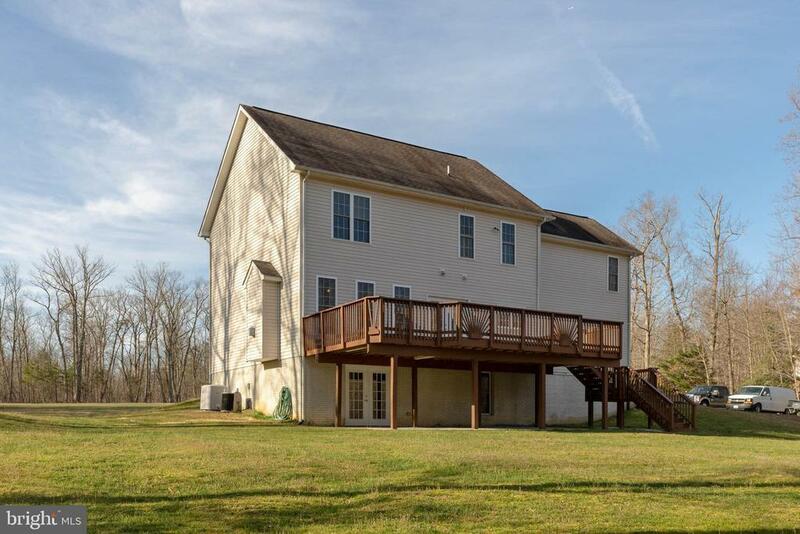 As the season changes, your guests will fall in love with this outdoor entertaining mecca, set on more than 3 lush acres and surrounded by mature trees. 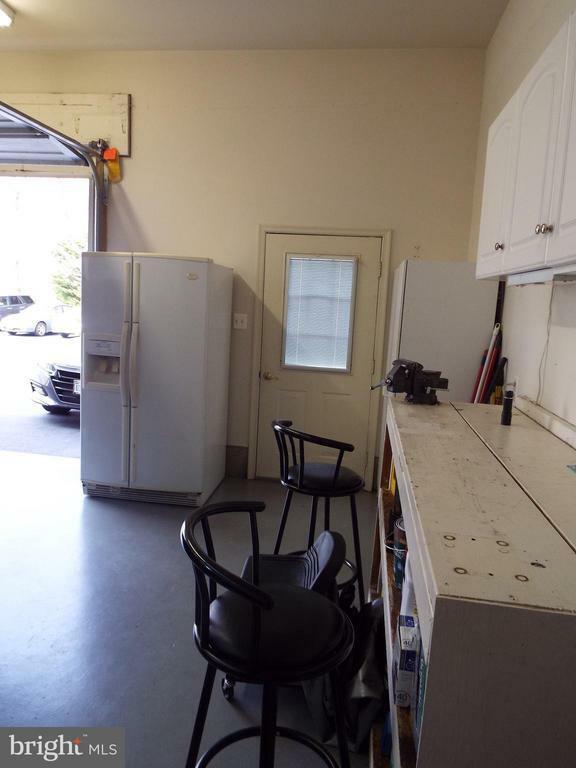 The spacious shed is wired for a generator. 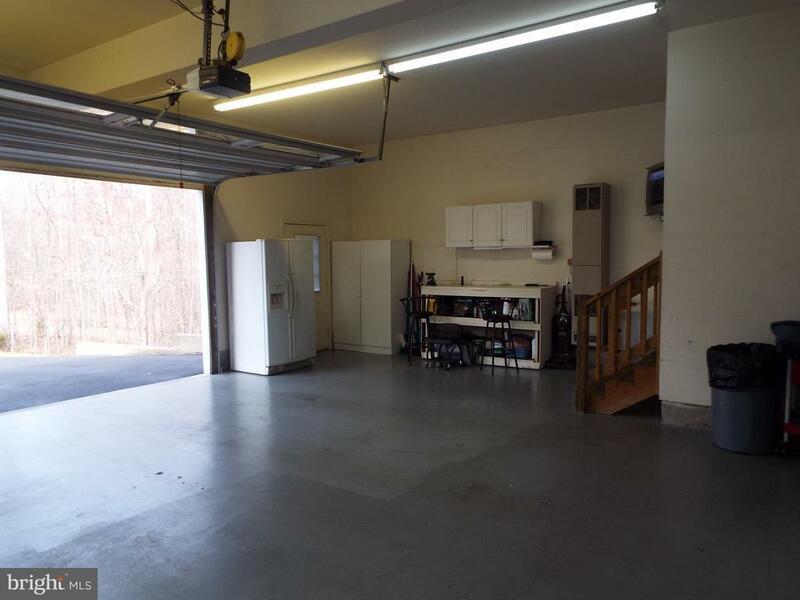 The massive 260 ft long asphalt driveway offers ample parking to accommodate 6 or more vehicles while leading to the oversized insulated and heated, two-car, side-load garage welcoming you home to your private RETREAT.